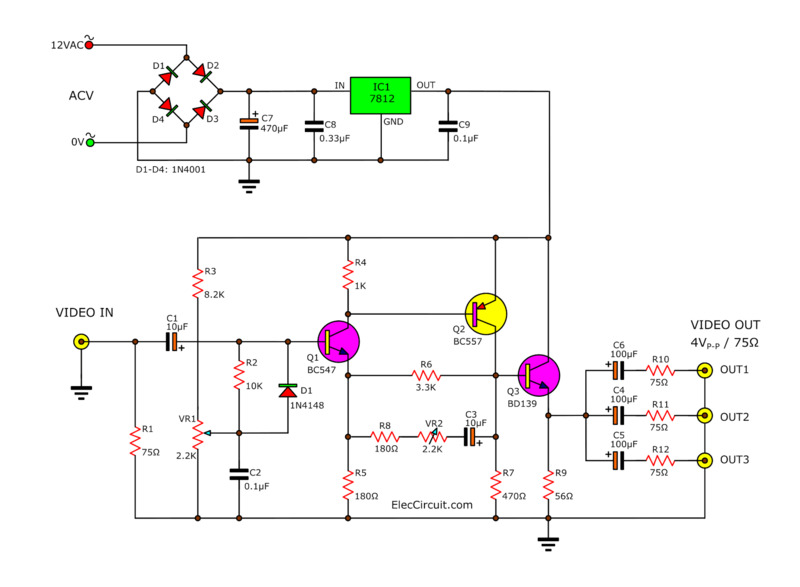 This is the video amplifier circuit or the video splitter circuit, it is designed to take video signal is stronger. Compensate for the loss of signal, and is video splitter video, which can connect up to three outputs. so is suitable for display on several television screens at the same time too.